Random And Some: "The girl really worth having won't wait for anybody"
"The girl really worth having won't wait for anybody"
I would like to shout out the Radcliffe Publishing Course for assembling this list. It has introduced me to a lot of great books and authors over the last year, and it will remain a valuable source for years to come. The last book I checked out? No. 91, aka This Side of Paradise (1920) by The Great Gatsby author F. Scott Fitzgerald. Protagonist Amory Blaine, based on Fitzgerald, is a handsome, privileged Princeton student. Despite his many God-given tools and strong ideals, he doesn't quite reach his ambitious goals, thanks in no small part to egotism and heartbreak. After serving in World War I, Amory briefly works as an ad writer, but he soon becomes disenchanted with the ways of the world. 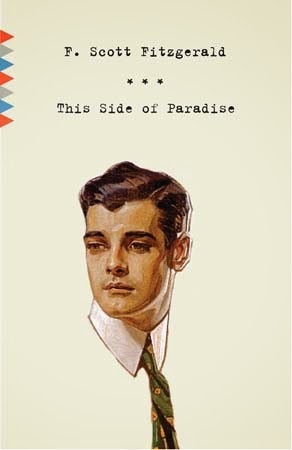 This Side of Paradise is an awfully impressive accomplishment by Fitzgerald for two reasons: 1) It was Fitzdog's debut, and 2) He was only 24 years old when it was published. In a way, his young age lies at the basis of the book's major, dare I say, "flaw": a lack of direction. Fitzgerald's talent is apparent throughout #TSoP, don't get me wrong, but the rather unsatisfactory plot is a clear sign that it still needed a decent amount of ripening.